ORBCOMM is one of the leaders in providing global satellite and cellular data communications solutions for real time tracking, management, and remote control. ORBCOMM’s global network and remarkable management tools give them the chance to deliver small quantities of data to and from virtually any place in the whole world on a near real-time basis – purely and affordably. Supporting their global low-earth-orbit satellite network. Making the service delivery and support very simple. Providing comprehensive communications and device management via a unique set of tools, platforms, and partnerships with tier-one GSM (global system for mobile communications) and CDMA (code division multiple access)contractors and others. Narrow-band, 2-way data communications within critical assets and equipment through low-Earth-orbit satellite network. Along satellite and cellular communications for mobile assets to ease low-cost connectivity. A Web-based enablement platform that operates multiple networks and propose full control of remote applications. All of that is completely sui generis thanks to ORBCOMM’s global, 2-way coverage, which is combined satellite/cellular services, features of use, M2M data focus and prolonged developing network. Most of the running terrestrial-based AIS systems secure only limited coverage close to shorelines and aren’t able to secure global open ocean coverage. 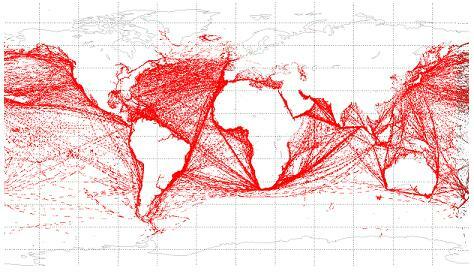 ORBCOMM surmounts lots of these problems thanks to a complete satellite-based AIS data service that gives the opportunity to monitor the marine traffic well outside coastal areas in a cost-effective and timely fashion. 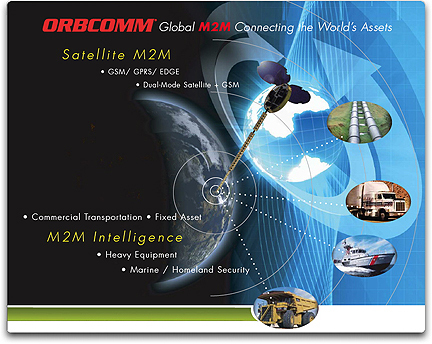 In the year of 2008, ORBCOMM pushed low-earth orbit satellites particularly equipped with the ability to gather AIS data, and is planning to combine these capabilities on all future satellites for ongoing maintenance of global marine safety and security initiatives. ORBCOMM has newly pushed 2 dedicated AIS microsatellites, 1 of them in an equatorial orbit and the other one in a polar orbit. They give the chance ORBCOMM to secure full global AIS coverage. ORBCOMM is going to launch another 18 AIS-equipped next generation satellites in the middle of 2012. These further satellites are going to improve ORBCOMM’s unmatched coverage, bettered refresh rates and unique performance. Yearly subscription fee and user applications for worldwide, regional and filtered satellite AIS data are accessible to both qualified government and merchant users.